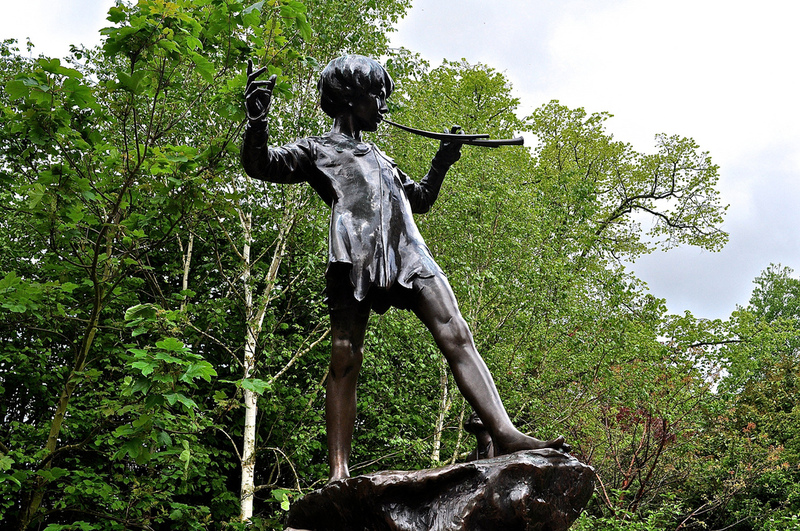 My photo-walk around Kensington Gardens led me to a statue I had wanted to see since childhood – Peter Pan. It was commissioned by the author Sir James Barrie from artist Gerge Frampton RA so surely, this depiction must be an accurate representation of Peter himself. Part of me still believes in Peter Pan, he had such a hold over my childhood and let’s face it, who wouldn’t want to fly away to Neverland with him and fight pirates? Barrie apparently met a family – the Llewellyn Davies – in Kensington Gardens and based the Darling Family from the book on them. 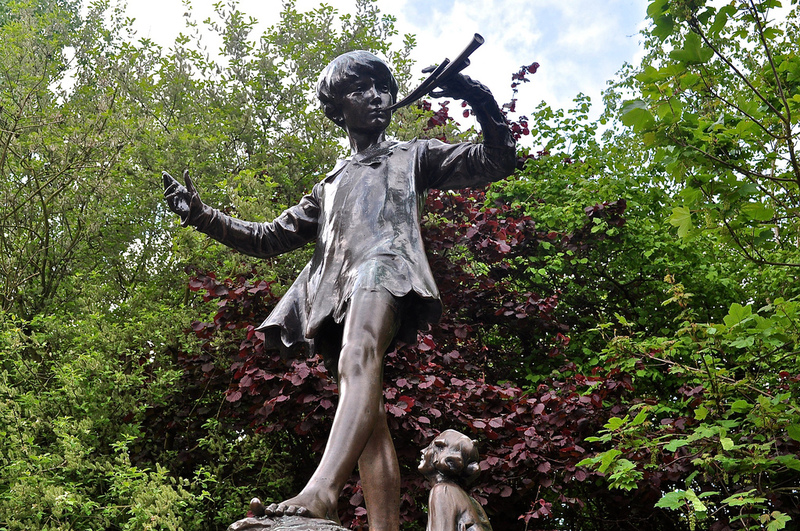 Indeed, the statue is said to be based on young Michael Llewellyn Davies in costume. 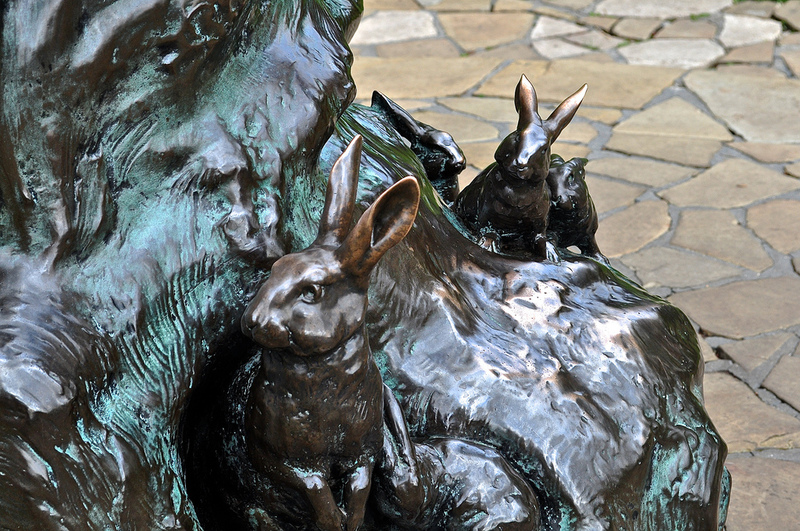 It shows Peter in a typical pose – confident, playing his pipes, perched on a tree stump surrounded by his friends – in this case, the Darling Family (I am supposing), rabbits, mice and of course, Tinkerbell and crew. 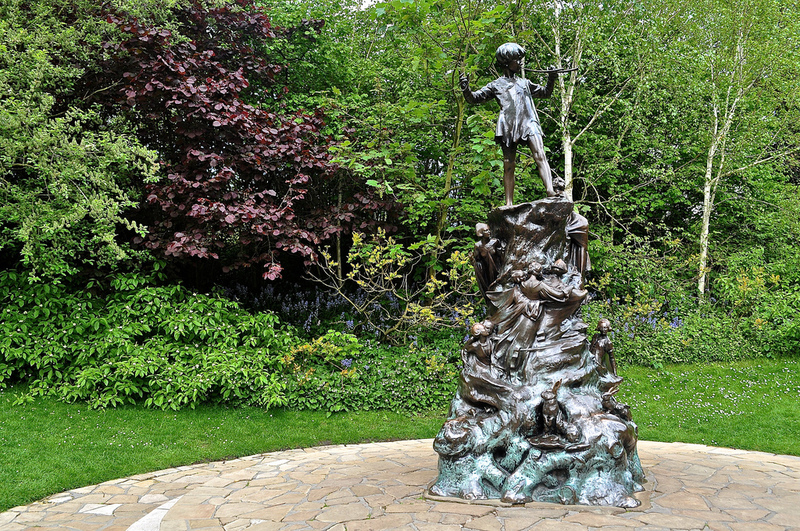 The statue appeared overnight on 1st May 1912 with an announcement made about it in The Times advising “there is a surprise in store for the children who go to Kensington Gardens to feed the ducks in the Serpentine this morning”. In his Peter Pan tale, The Little White Bird, Peter flies out of his nursery and lands beside the Long Water. The statue is located on this exact spot. 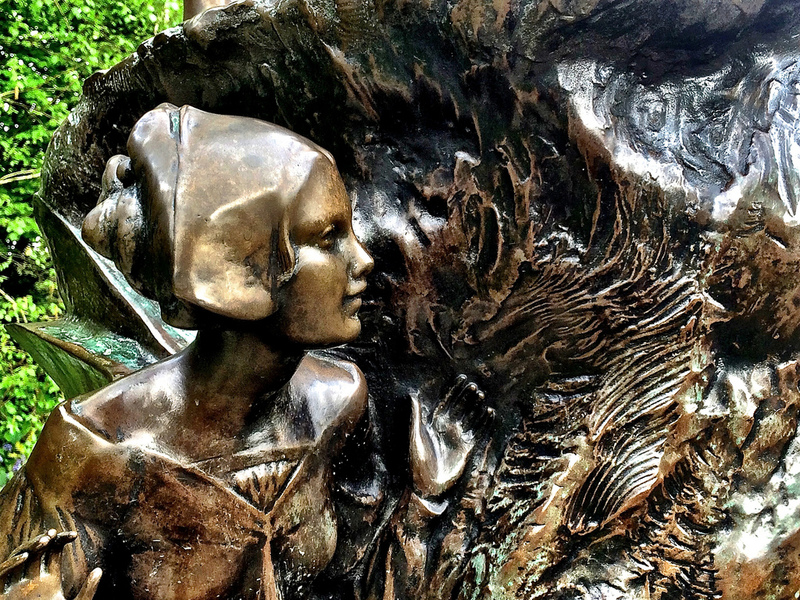 Thank you to the invaluable additional information gleaned from Peter Matthews’ marvellous book “London’s Statues and Monuments” which is showing me a London full of popular and forgotten statues and artwork. 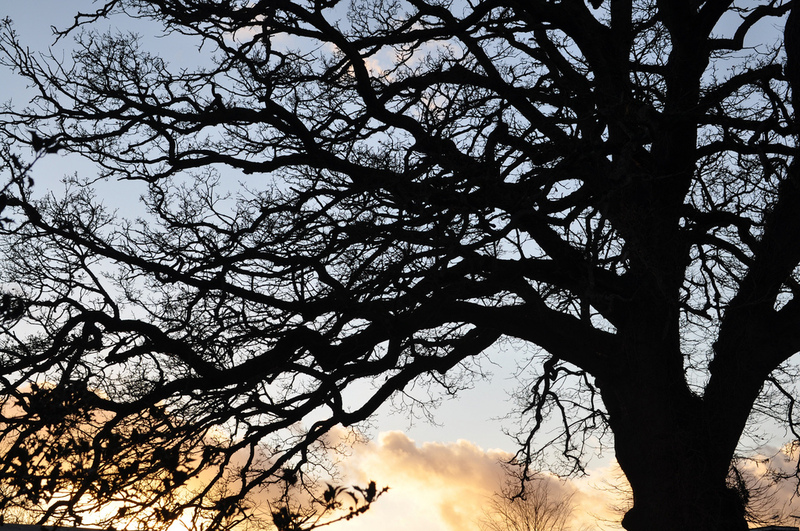 GBP12.99 from National Trust & all good book shops.